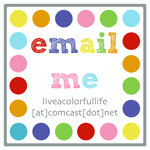 Live a Colorful Life: WIP Wednesday: Psssst...I'm over here! Guess what! 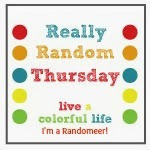 I'm guest-hosting WIP Wednesday this week. 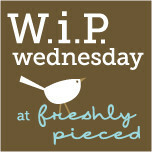 Follow me over to Freshly Pieced. See you there! Okay. See you in a minute over there. It was THIS post I mentioned to you--your WIP guest host. Congratulations for taking over the helm for Lee and for such a great post. Like I said before, you are amazing and I'm happy to call you my friend.